Le Mans may be world renowned for its motor racing track, even featuring in a classic Steve McQueen film, but the old town of Le Mans with its beautifully preserved medieval architecture is still largely unknown, despite being used as the backdrop for other films like Leonardo di Caprio’s “Man in the Iron Mask”, Gerard Depardieu’s “Cyrano de Bergerac”, Al Pacino’s “Bobby Deerfield” and many French films including “Molière”, “Les Dames Galantes” and “Michel Vaillant”. 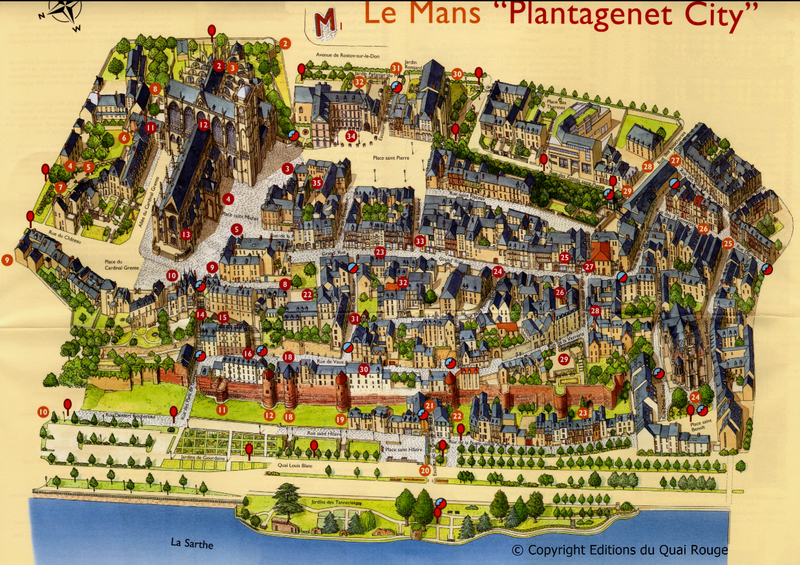 The old town of Le Mans was renamed “Plantagenet City” in 2002, in recognition that Le Mans was the seat of the Plantagenets and the birthplace of the Henry II, first Plantagenet King of England. 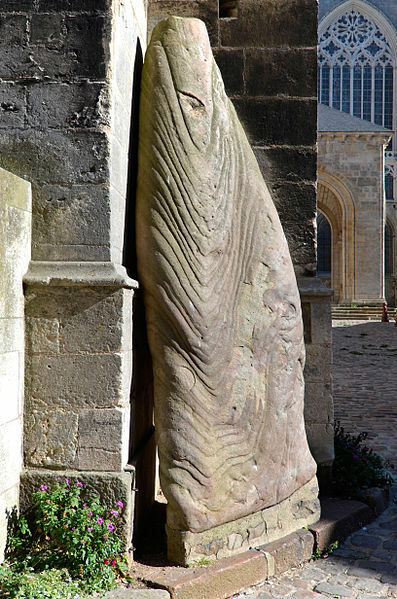 Richard the Lionheart’s widow Berengère also lived in Le Mans after his death, where she founded the Cistercian Abbey de L’Epau to the east of the city. Overlooking the river Sarthe, the Le Mans old town is protected on that side by the longest surviving Gallo-roman wall in France, whilst the magnificent Cathedral of St Julien dominates the skyline above the walls – one of the largest and oldest cathedrals in France, it should not be missed as it matches Chartres with its splendid architecture. The cathedral also houses a magnificent stained glass window of the Ascension, one of the oldest and dating back to 1160, and boasts a stunning 14th century frescoed ceiling showing the choir of angels. The cathedral stands on a former pagan religious site and a menhir can be seen leaning against the cathedral wall. The medieval heart of Le Mans is largely unspoilt, with a maze of beautiful buildings, both stone and half timbered and dating back to the late middle ages or early Renaissance, pretty cobbled streets, stepped alleyways and narrow lanes. The paved streets and limited traffic access make the old town of Le Mans a nice place for strolling, while there are many good restaurants for lunch or evening meals. Steep inclines and steps do mean that some of the streets are unsuitable for the disabled, but most parts are accessible by alternative routes. Rillettes, a kind of spiced, shredded pork paté, is the culinary speciality of Le Mans and it tastes much better than it sounds. You can buy rillettes in every butcher’s and supermarket in town, and it makes for a perfect picnic snack when spread on some fresh “baguette de tradition”. 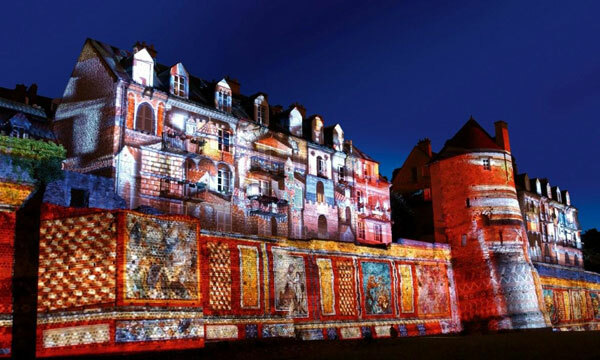 In summer as dusk creeps into the streets and squares of the Plantagenet town, the old medieval buildings come to life with a magical spectacle of light, colour and sound called “La Nuit des Chimères”. Just a couple of suggestions where to eat in the old town of Le Mans – but there are plenty of others to choose from!